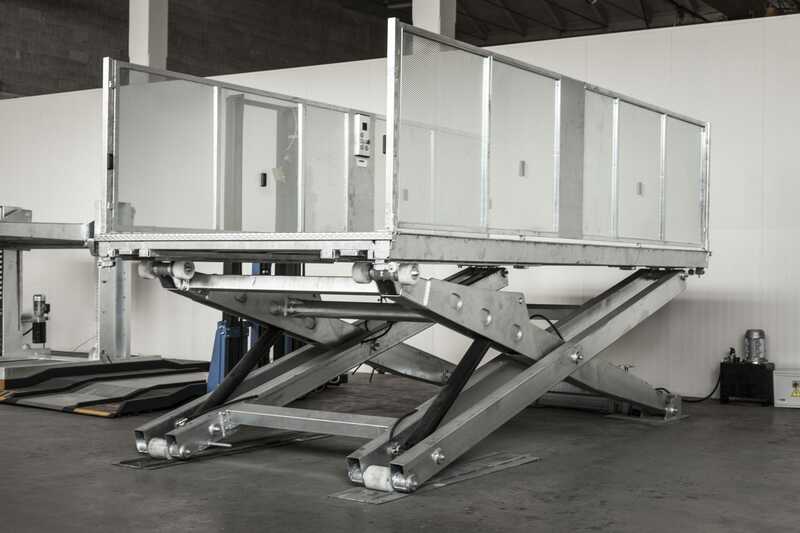 The CL2 car lift table is used when the height of the accesses to residential or commercial buildings deviates from the height of the road access. The driver of the vehicle requests the lift to the desired level by means of a fixed control element or a remote control. As soon as the lift has reached the desired position, the platform can be accessed and set in motion with a man-on-board control. The CL2 is also used in warehouses with different floors. Ride heights, loads, platform dimensions and man-on-board control (optional) on request.